The IRS has issued Notice 2018-94 that extends the deadline for providing Forms 1095 to individuals for 2018 and extends good-faith transition relief to 2018 information reporting requirements for Sections 6055 and 6056. March 4, 2019, is the new due date for insurers, self-insuring employers, other coverage providers, and applicable large employers (ALEs) who provide Forms 1095 to individuals for 2018 as required by the Affordable Care Act (ACA). The original due date was January 31, 2019. Notice 2018-94 extends the due date for providing Form 1095-B, Health Coverage, and Form 1095-C, Employer-Provided Health Insurance Offer and Coverage, to individuals for 2018. The IRS notice does not extend the due dates for filing with the IRS the 2018 Forms 1094-B, 1095-B, 1094-C, or 1095-C. The deadline dates for these forms remain February 28, 2019, if not filing electronically, or April 1, 2019, if filing electronically. Notice 2018-94 extends good-faith transition relief from section 6721 and 6722 penalties to the 2018 information-reporting requirements under sections 6055 and 6056. Section 6055 applies to providers of minimum essential coverage (MEC), such as health insurance issuers and employers with self-insured health plans. Generally, these provider types will use Forms 1094-B and 1095-B to report information about the coverage they provided during the previous year. 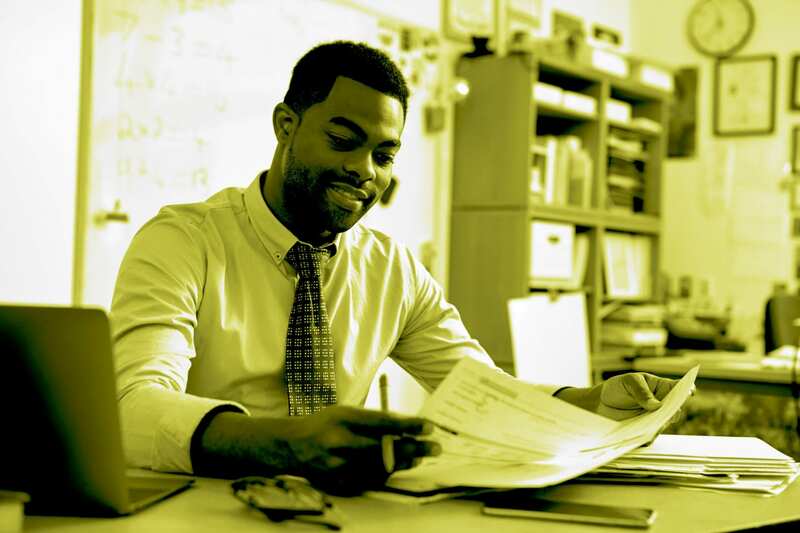 Section 6056 applies to ALEs, which are generally those employers with 50 or more full-time employers, including full-time equivalents (FTEs), in the previous year. ALEs will use Forms 1094-C and 1095-C to report information about the health coverage they offer OR do not offer to their FTEs. If you do not have a solution for your 2018 reporting or have not prepared adequately to manage compliance internally, it is advised you seek a qualified vendor before the end of 2018, if not sooner. PSST’s ACA-Track™ is a seamless solution for complete and confident Affordable Care Act compliance and reporting that integrates readily with all your data sources. 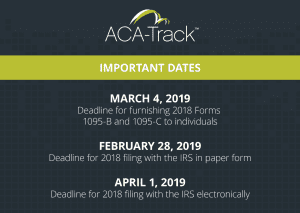 ACA-Track has met all IRS deadline for 100% of its clients since the initial 2015 ACA reporting year.